This is the fourth album by Polish Jazz / Pop singer Anna Serafinska. It includes fourteen songs, all of which feature the lyrics by the great Polish poetess and lyricist Agnieszka Osiecka. The music was composed mainly by Seweryn Krajewski (ex-Czerwone Gitary), one of Poland's most remarkable songwriters. The other composers include several leading Polish Jazz figures like Zbigniew Namyslowski, Wlodzimierz Nahorny, Jan Ptaszyn Wroblewski and others. The music was arranged by Krzysztof Herdzin, who also plays piano and other musicians include bassist Adam Kowalewski (who plays some mean fretless bass parts), drummer Krzysztof Gradziuk and many others, as well as a string quartet. The original album was released in 2006 and this special edition, released in 2012, adds two songs newly recorded with Anna's new group called Groove Machine. The album has a great potential and seemingly all the right ingredients: first-class songs, wonderful lyrics, skilful arrangements and excellent musicianship, and yet although it is pleasant and overall enjoyable, it is also quite forgettable. Stylistically it sort of "sits on the fence" between Pop and Jazz, being both too close to Pop to be considered Jazz and too Jazzy to be a straightforward Pop. Herdzin's arrangements push it consistently towards Latin grooves and mainstream Jazz settings, but the result is all over the place and feels somehow uneasy. I understand that Serafinska has quite a following in Poland, but this is the second album of hers that I listened to and she leaves me stone cold. Fortunately she sticks to Polish lyrics on this album, avoiding the problems of struggling with a foreign language, but her vocals simply don't do it for me, which of course is completely my fault. In my ears her vocal range is somewhat limited and the emotional expressiveness just doesn't cut it for me (again), although she does have a good feel for groove, which explains what she does with her new band. Of course there are some superb moments here and the album is a nice listening experience, which can be enjoyed by many listeners across the genre borders. I sort of hoped it would be more than that. 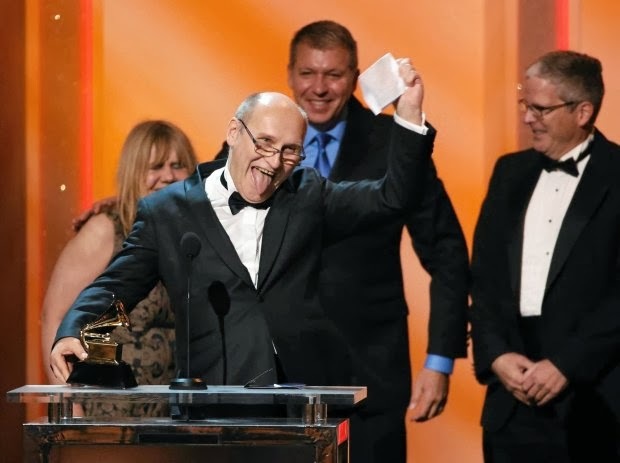 Wlodek Pawlik has won the Best Large Jazz Ensemble Grammy!!! This is probably the least known as well as most unusual album by veteran Polish Jazz saxophonist / composer / band leader Zbigniew Namyslowski, who is associated with the local scene continuously since the late 1950s. 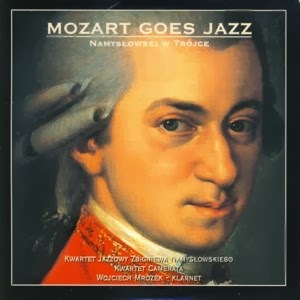 The album consists of a live recording captured by the Polish Radio, which presents a Jazz arrangement of Amadeus Mozart's Clarinet Concerto in A major, K 622, performed by Namyslowski's quartet, clarinetist Wojciech Mrozek and the Camerata string quartet. The Zbigniew Namyslowski quartet at the time of the recording included also pianist Krzysztof Herdzin, bassist Olgierd Walicki and drummer Grzegorz Grzyb. Mozart's masterpiece, which was his last completed work before his untimely death, consists of three movements, but this extended interpretation adds five more "variations". All the pieces were arranged by Namyslowski, except the middle movement of the original concerto, which was arranged by Herdzin. Of course this is by far not the first attempt of creating Classical-Jazz Fusion, which has been attempted countless times before. The matching of these often distant musical idioms is probably the most perilous area, and this album is a "classic" (pun intended) example why. The idea behind such attempts is of course to fuse the two idioms and create an amalgam, which somehow manages to preserve the best of both ingredients and create a new flavor, previously unknown. Sadly the music presented here fails completely in that sense, as far as I am concerned. The resulting music mixes Mozart's melodic themes with Jazz rhythms and improvisations, but the resulting music simply sounds unsavory. Sort of "pickles with marmalade", which makes sense to pregnant women only. But considering Namyslowski's remarkably long and otherwise spotless career and tremendous contribution to Polish Jazz, this excursion is easily forgiven, as it is forgotten. This is the debut album by Polish Jazz duo consisting of trumpeter Wojciech Jachna (Contemporary Noise Sextet, Sing Sing Penelope) and drummer Jacek Buhl (Syfon, Glabulator). It presents eleven original compositions, all co-composed by the duo members. The music is beautifully innovative and embodies a new sub-genre of the thriving Polish Jazz scene, which combines the tradition of trumpet / drums duos combined and expanded here with electronic and ambient sound vistas. A somewhat similar approach to music was also adopted a few years later by the An On Bast / Maciej Fortuna duo, which shares many sonic similarities with this duo. This music consists of expanded melodic themes developed by the trumpet and accompanied harmonically and rhythmically by the ambient electronic background and the drum parts. This approach seems to offer a wide plane of new possibilities, with are just being discovered lately. Such recordings like this one emphasize the vitality and the constant drive of the young Polish Jazz musicians to innovate and discover new possibilities, rather than stay on the beaten track of mainstream Jazz, which is probably the most important characteristic of the entire scene. 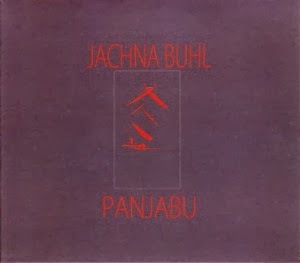 Of course Jachna and Buhl already demonstrated their creativity and pioneering spirit as members of other ensembles they played with, but their work in this duo is the most impressive in that respect. Their next album as a duo ("Niedokonczone Ksiazki"), recoded a year later, brought this wonderful concept to perfection. Sadly this album is relatively quite anonymous and known mostly to a small number of Polish Jazz avant garde fans, which is a pity. It is definitely worth searching for and deserves an honorable place in any serious Polish Jazz collection, especially for people following new trends and bold pioneering progress. New York drummer Tyshawn Sorey is already a stylistic reference in modern drumming, with a discography of five albums, the latest one "Union" by Paradoxical Frog, with Kris Davis and Ingrid Laubrock, despite his young age, and we find him now in the company of Polish trumpeter Tomasz Dabrowki, known from Hunger Pangs with "Meet Meat" and from his own Tom Trio, both recently reviewed here, as talented and even younger than the drummer. Both met a clinic that Sorey gave in Poland, and they decided to perform this fascinating duo performance, a format that is not only one of my favorites (see the "trumpet-drums" label in the right column), but also one that finds appeal among the young generation of Polish musicians (Artur Majewski and Kuba Suchar, Wojtek Jachna and Jacek Buhl, Kamil Szuszkiewicz & Hubert Zemler) amazingly enough, and of course also with the grandmasters of trumpet and drums improvisation: Bill Dixon and Tony Oxley, Don Cherry and Ed Blackwell, Wadada Leo Smith and Blackwell/DeJohnette/Sommers/Rudolph, Lester Bowie and Philip Wilson. To the music now : both musicians treat their instruments in the traditional way: no electronics, no extended techniques, just plain playing, and which is good because both musicians are quite refined stylists, lovers of clear sounds which bounce and dance around each other. All tracks are called "Songs", which testifies of the compact lyricism of the compositions and the playing. A single idea, a tune, a mood, a rhythm to play with, to expand on, to interact on, and then on to the next tune. Simplicity and musical joy are at the core of this album. The moods can be solemn, playful or even jubilant, and the total is a coherent treat of raw sophistication, intimate and sensitive. Highly recommended for fans of the format. 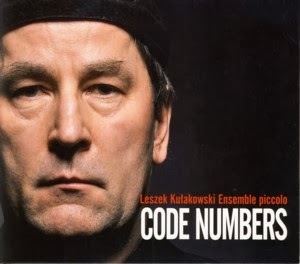 This is a wonderful piano trio album by Polish Jazz pianist / composer Leszek Kulakowski with bassist Piotr Kulakowski and drummer Krzysztof Gradziuk (of RGG fame). The album presents thirteen original compositions, all by Kulakowski, some quite short, like outlines if a musical idea which is repeated four times, others lengthy and expanded with elaborate improvisations. The album was recorded at the Studio Tokarnia and was engineered and mastered by Jan Smoczynski, as usual with spectacular sonic results. Kulakowski is a musician of many diverse preferences, moving between the pure Jazz idiom and Jazz-Classical Fusion, feeling comfortably in both situations. Although this album presents him in seemingly "pure" Jazziness, both his playing and his compositions always incorporate a certain element of contemporary Classical music, even if not stated openly. He is a master of melody, but also of atmosphere and suspense, which keeps the listener in a state of anticipation. Personally I find this ability quite remarkable as it emerges in Kulakowski's work with such intensity for the first time since the works of Krzysztof Komeda, the Godfather of Polish Jazz, were created in the late 1960s. The music also champions the typical Polish lyricism and intrinsic melancholy, which although omnipresent in Polish Jazz, are rarely revealed with such exquisiteness and compassion, as in the music presented here. The performances are all quite brilliant, with the piano often performing without accompaniment, and when the whole trio is present, the rhythm section often takes a deliberate step back, respectfully keeping the piano in the spotlight. Of course when the rhythm section does step in full swing, the musicians sound like one coherent unit. Gradziuk displays his usual virtuosic, yet reserved ability to keep time in a most inspired way and even is his solo tries not to outshine his colleagues. The bassist also performs wonderfully, providing those magnificent riffs that keep the anticipation in the air. The whole thing is simply brilliant. This music should be heard by every piano trio connoisseur on this planet, as it is definitely has to offer many novel ideas and deeply moving music, which deserves to be discovered and shared. Not to be missed! 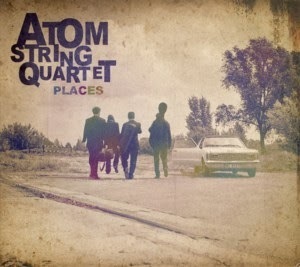 This is the second album by the Polish Jazz string quartet called Atom String Quartet, comprising of violinists Mateusz Smoczynski and Dawid Lubowicz, violist Michal Zaborski and cellist Krzysztof Lenczowski, which introduced a novel and revolutionary concept on the local scene combining the Classical Chamber music tradition and Jazz. 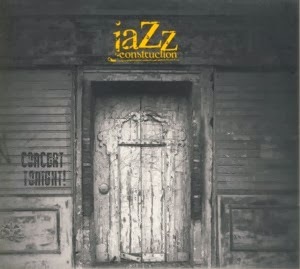 Following the debut album recorded live, this is their first studio effort and it includes ten pieces, with just one originating outside the quartet (Chick Corea's "Spain"); the rest are all originals: four by Lenczowski, two by Zaborski, one each by Lubowicz and Smoczynski and the remaining one co-composed by Smoczynski and Lenczowski. The album was recorded at the Polish Radio studios in Warsaw and mastered by Jan Smoczynski at his Studio Tokarnia, as usual with spectacular sonic results. Following the spectacular debut, which took the local scene by surprise, the approach on this album is quite different. This album is much more concentrated on the compositions rather that the virtuosic performances and the element of novelty which dominated its predecessor. The album presents a "concept" of the relationship between music and the place it originates from, trying to show the different and the similar at the same time. Therefore many folkloristic themes from all over Europe appear here as part of the milieu, including of course the beautiful Polish melancholy, which is omnipresent in music originating from Poland. This World Music tendency takes this album a bit further away from Jazz, at least conceptually. As expected, the individual performances are nothing short of sublime, and the entire album is a deeply moving listening experience. However, listeners familiar with their debut might miss the "spark" and "spontaneity", which was so evident there and which were replaced here by careful planning, maturity and eloquent elegance. It is therefore almost impossible to compare these two albums, as they in fact present the different facets of the same group. Listeners longing for the lively approach of the debut will have to see the group live or perhaps wait for the next live recording. For me the most important and meaningful aspect of this album is the progress in the quality and strength of the compositions, which start to become identifiable with the ensemble, which of course is an important step forward. Once the quartet develops its true individual musical identity (overcoming the fact that the music comes form four individual members), they will reach the apex of their development. For now we are presented with another excellent album by one of the most intriguing music ensembles in contemporary music, which is definitely not only a great listening experience but also a victory of quality and intelligent music over our mundane "cultural" encounters in real life. Well done Gentlemen! This is the debut album by the Polish Jazz string quartet called Atom String Quartet, comprising of violinists Mateusz Smoczynski and Dawid Lubowicz, violist Michal Zaborski and cellist Krzysztof Lenczowski, which introduced a novel and revolutionary concept on the local scene combining the Classical Chamber music tradition and Jazz. The violin has been used in Jazz over the years, although not nearly often enough as this noble instrument truly deserves, but a concept of a string quartet which plays improvised music is actually pretty rare and has but a few parallels worldwide. The album was recorded live at Polish Radio Katowice and presents ten compositions, one of which is a standard, two are arrangements of compositions by the Godfather of Polish Jazz Krzysztof Komeda and the rest are original compositions: two each by Lenczowski and Zaborski, one each by Lubowicz and Smoczynski and the remaining one co-composed by Lenczowski and Smoczynski. The initial impact of this music is quite overwhelming, especially to listeners who are familiar with Classical music or Chamber music in particular, in parallel to their Jazz exposure. The string quartet is the "holy grail" of Classical music and such unconventional usage of the quartet as heard herein is truly surprising at first. But as the music takes the listener further and further into this unique world of sound, a transformation occurs from surprise and awe into joy and delight. Hearing a string quartet swing is an unearthly experience, recommended to every Classical music lover. Of course all four individual members of the quartet display virtuosic abilities and their combined performance is nothing short of amazing. Since they don't play Classical Chamber music it is impossible and improper to compare them to those quartets which do so. 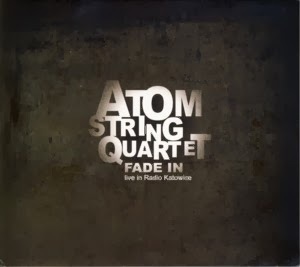 Atom String Quartet is a class in itself and until another quartet arrives doing what they do, which is highly improbable, they are safe from comparisons. Since the music is mostly original, the quartet also has a lot to offer on the compositional platform, which is yet another aspect of their strength. They manage to bring forward a diverse scope of musical influences in their original compositions, not only from Classical music but also from Jazz and even Rock (Lenczowski is also a gifted Jazz-Rock / Fusion guitarist), which make their program interesting and full of unexpected surprises. There is no doubt that this is an exceptional album, which breaks new ground and opens new possibilities and yet comes from deep respect of existing musical tradition. Events like this are very rare and therefore they should be celebrated accordingly by all music connoisseurs. One can only hope that this music will reach listeners beyond the local Polish scene, as it so much deserves. Marcin Cipiudro may be recognized by Polish public thanks to his cooperation with the cult band called Robotobibok. 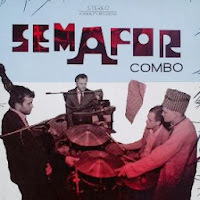 After the dissolution of this group, one of the first in Poland experimenting with usage of electronic and dance rhythm in modern jazz, its members dispersed into different projects and collectives. Two of its most important members, trumpeter Artur Majewski and drummer Jakub Suchar, formed Mikrokolektyw which become one of the leading avant jazz formations in our country. Saxophonist Adam Pindur on the other hand turned toward mainstream by participating in hugely successful project of another young trumpeter Piotr Damasiewicz. All these musicians are connected in some way with a city of Wrocław as is Marcin Ciupidro. It takes a true musical "nut" (of the nicest sort), like The Polish pianist / composer / arranger / conductor Krzysztof Herdzin to come up with a project like this, which is designed to establish a new musical "genre" (or sub-genre) of chamber string music he defines as "string big band", a marriage between the European tradition of the string orchestra and the American Jazz Big Band. In order to prove his point, Herdzin took ten "classic" Jazz standards, some of which are closely associated with Big Band performances, others that aren't, and arranged them for a musical collective, which brings together the sensational Atom String Quartet (violinists Mateusz Smoczynski and Dawid Lubowicz, violist Michal Zaborski and cellist Krzysztof Lenczowski) with Sinfonia Viva orchestra to create a large string ensemble equivalent to the size of a Big Band. Bassist Robert Kubiszyn and vocalist Agnieszka Wilczynska (she sings on a couple of tracks only) also take part and the entire ensemble, conducted by Herdzin, which is appropriately named String Big Band. I must admit that before I listened to the music, just by looking at the CD and reading the texts, I was absolutely sure I'm going to hate this thing with vengeance. Boy was I wrong! It turned out to be one of the most uplifting pieces of musical delight I have heard in a long time. Herdzin somehow managed the impossible: he turned a potentially kitschy and schmaltzy musical idiom into absolute magic. I felt transformed back in time, about ninety years or so back in time, watching a Broadway stage performance at the peak of the Great Gatsby's "Jazz Age", with tall women in tight lush dresses, glasses of champagne and all that Jazz! Pure Magic! Of course a big part of the success goes also to the wonderful performers; Atom String Quartet emerges as one of the most intriguing discoveries on the Polish scene in the last decade and the Sinfonia Viva orchestra, which Herdzin utilizes repeatedly as part of his projects, is definitely a group of most talented and worthy of admiration musicians. But Maestro Herdzin is definitely the main honcho, the inspirer and the chief (or perhaps chef) of this whole crazy happening. It takes a lot of courage and self confidence to undertake such a perilous venture and to emerge triumphant and victorious is simply phenomenal. This music can be enjoyed by almost anybody who has a working pair of ears on him, and it so multilayered and elegant that the more experienced and sophisticated the listener, the more pleasurable the experience becomes. Kudos Krzysztof, you really hit the jackpot this time! The live recording at the Polish Radio studio #3 in Warsaw has an unusually excellent, clear and vibrant sound quality, which enhances the whole album tremendously. The stars were definitely smiling at that project! This is the debut album by the young Polish Jazz quintet Jazz Construction, which comprises of saxophonist Marcin Kania, guitarist Krzysztof Lenczowski, pianist Wawrzyniec Prasek, bassist Jacek Kaliszewski and drummer Wojciech Bylica. Lenczowski also plays cello in the string quartet, which accompanies the group. 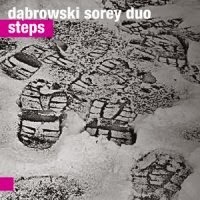 The album presents eight original compositions, five of which were composed by Lenczowski and three by Prasek. The album was recorded at the wonderful Studio Tokarnia with Jan Smoczynski at the console, which of course is immediately audible, as the sound quality is gorgeous. Although the music is quite diverse stylistically, the overall ambience presiding is that of melodic Jazz-Rock Fusion. The guitar, which stands out as the most effective solo instrument, is sonically very close to the classic early Pat Metheny sound, round and slightly melancholic, but always very effective. Each of the guitar solos on this album is a masterpiece of construction and a perfect example of showmanship by Lenczowski. But his colleagues are not far behind and they all display formidable technique and feel for the music. As usual with young Polish Jazz groups one keeps wondering how it's possible for such young players to sound so mature. The group displays its Jazz roots by offering a couple of tunes, which are clever tributes to Jazz Giants like John Coltrane and Miles Davis and their overall approach is also Jazzier than most Fusion groups. The individual contributions of all the band members are truly praiseworthy. Overall, although hardly groundbreaking, this is a very solid debut effort, which features excellent original music and first-class performances, which are as good if not better from most similar material released anywhere in the world. For some strange reason this album slipped under my radar at the time of its release, but it's never too late to acknowledge a worthy effort. Very well done gentlemen! 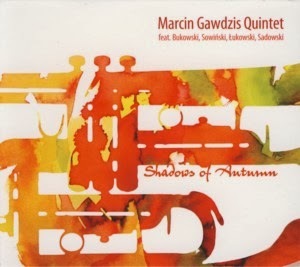 This is the debut album as a leader by Polish Jazz trumpeter / composer Marcin Gawdzis recorded in a quintet format with saxophonists Szymon Lukowski, vibraphonist Dominik Bukowski, bassist Maciej Sadowski and drummer Tomasz Sowinski. The album includes seven compositions, six of which are Jazz standards and one is an original composition by Gawdzis. The format is, as expected, a straightforward mainstream Jazz, which basically offers the "more of the same" formula of this format, which was previously used countless times earlier. Of course all these musicians are perfectly well trained professionals and their playing is spotless and even inspired at times, but the question is why listen to this specific album as opposed to countless others exactly like it? Let's leave the Americans to keep repeating themselves ad nauseam with their mainstream Jazz and look for something at least slightly different? But all things considered this is after all a very good mainstream album, which will surely keep listeners of such music very happy. Gawdzis has a nice round tone and plays solidly, without taking many risks or offering bravado displays. Bukowski, who is the most interesting player in this quintet, displays his usual virtuosity, but the battered standards don't leave him with many options to show up his true abilities. The rest of the guys schlep on happily and without much effort. Not really my cup of tea, as this is nice, but banal music as far as I'm concerned, but I'm sure many other listeners will be able to enjoy it. Perhaps I'm getting old but I find less and less interesting things in so-called avant jazz or free improv these days. One of the reasons is that so many projects are focused on searching for novelty only and in the process of experimentation they lose sight of the average listener's gustos. And the truth is that when I sit in my armchair with a glass o wine in my hand I don't need - at least every single time - to be shell-shocked or profoundly shaken or move to the depths. Quite often I just want to be entertained, cheered and relaxed. Is this so much to ask for? I hope not so. But many "young lions" of today's avantgarde seem to forget about it. But this recording is quite a different story and because of that stands out a something very unique. Although created by young musicians who are associated with some of most daring projects in Polish music it is a tribute to jazz music of 60ties and, in particular, 70ties. This combination of solid jazz foundation and a free spirit of improvisation produced what can be only described as one of the most rewarding recordings in whole year 2013. Full of of explicit citations from bot international and Polish jazz classics, narrated unhurriedly, playing with form, never imitating but rather re-creating the old languages that slowly become forgotten - this album is an unexpected gem and a very significant achievement for all artists involved in its creation. Sonus is back with Polish Jazz Mixtape Vol. 2!!! I was delighted to have been asked by my friend to review on of my favourite things in the world : A Jazz mix tape. I know that there is a lot of amazing Jazz coming from Poland and I was excited to finally get the time to sit down and listen to this. I have to admit, I had never heard of the selector whom chose the tracks on this mix. A lot of the time these are the best kinds of discoveries, completely new and unknown to yourself. And this time certainly did not dissapoint. As I sat down to this, I assumed that the mix would be of a more deep and modal vibe. I was at first surprised by the sound and had mixed emotions about the fact that the mix was slightly more uptempo than I would normally choose to listen to. Within five minutes of settling down to this, I knew I liked it. I had a sense of being surrounded by absolute greats of the musician world. I had a sense of being in clubs that people were absolutely swinging to this music. I had a sense of happiness. For me, the emotion that a piece of music provokes is everything. And usually, I appreciate the beauty in sadness withing music, so for me this was a lovely surprise to find out that I also like music that provokes less dark emotions. I love every track in this mix and I will get to telling you why.. Ten minutes into the mix and my ears have been treated with lovely grooves, super keys, brass and drums that most drummers would be nodding there heads along to. All of a sudden I am hit with hammond organ, played in such a way that made me stop in my tracks and really listen. And I mean stop everything and really listen. The skill of the musicianship took my breath away. The combination of the hammond, drums and brass made me wonder how I did not know who Krzysztof Sadowski and His Hammond Organ was. This is a name that I will make sure I get to know. And I would highly recommend you do too. The track that followed took me by surprise due to its almost latin nature. This is the kind of track that I would play in a place where people really know there music and appreciate music. The cold winters day on a December evening was suddenly warmed up by this piece. The Bossa Nova Combo as you can guess, was delightful follow on from the last piece and worked perfectly after the last. This made me feel fully joyous inside. Following on from this was By Henryk Alber & Janusz Strobel- Motyle. This had a lovely feel of a mixture between something from Spain and something from Latin America. It really got me going and my head nodding was unstoppable to this track. I really love the latin direction that the mix has suddenly taken on. The next ten minutes continues on our journey of Latin music, from Poland. 29 minutes into the mix and I am met with the most amazing keys, absolute impeccable skill from the musicians, excellent mix of instruments and very different feel to the track as a wholeBy Kazimierz Jonkisz Top Six, another artist who I will be going out my way to look into this year. Next piece that got my attention in a big way was at 42 minutes into the mix, Piesn Religijna By Adam Makowicz. This track had such lovely keys that were so subtle and that were placed into the track in a way that did not lead, but that felt like something coming at you that you wanted to know more about. The drums in this track really drove the whole piece and I felt a sense of the music being modern but in a good way. There can sometimes be negativity within modern music that just does not compare with older music however this really felt honest and like this came from the heart of the musicians involved. I felt like I wanted to say so many things about the next track that caught my attention, Norman's Mother By Contemporary Noise Sextet. This piece really brought the energy of the mix along and felt like a complete left turn, I was taken aback by the emotion within this piece and the way that all the musicians told the story with this was so strong and expressive. This track for me was an absolute pleasure to have been able to discover through this mix, and I thank Senhor Efebo. The mix is rounded off with more lovely keys, hammond, drums and guitar. This mix has taken me on a real journey. I have upmost respect for a DJ who can take a listener on a journey with up, downs and everything in between. I feel thoroughly grateful to have discovered these amazing new pieces of music, and for that I am grateful. Thank you to Senhor Efebo, a name that I recommend you all check out. The Polish label Sangoplasmo Records have already made a name for themselves and achieved a semi-legendary status in the cassette underground for releasing cassettes from both newcomers and experienced players, challenging the listeners to take up new sonic adventures. And Dwutysięczny (that’s how we Polish folk say the date "2000") project collects some of the finest names in the experimental underground, becoming a "supergroup" of sorts. First, there’s Jerzy Mazzoll, one of the founders of the legendary Polish avant-garde jazz group Miłość (Polish for "Love"), who spearheaded the movement later known as "yass". Another member is Błażej Król, first playing in Polish indie rock band Kawałek Kulki, later going more experimental with his project UL/KR. There’s also Radek Dziubek, one of the members of the stellar psychedelic group Innercity Ensemble. Last, but not least there’s Wojciech Kucharczyk in the group, a jack of all trades who has dabbled in probably every possible form of art known to man, including music, of course. Each and every member of the group has made a name for themselves over years with different musical visions and ideas. But how do they sound together? The opening chord of lenghtily titled opener "W miarę jak wędrujesz podnóżem góry, tajemnica się pogłębia" (“As you walk along the foot of the mountain, the mystery deepens”) is delicate, almost fragile, yet it feels incredibly powerful, like the Genesis itself. The air trembles with mystery and anticipation before the bassy drone kicks in which seems not to solve the mystery, but further deepen it (akin to the title). 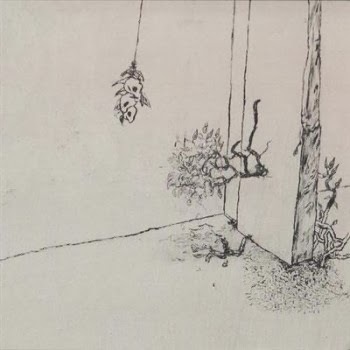 In fact, the whole album plays like a jazz record hidden deep beneath under layers upon layers of embalming drone and heavy ambience, where the instrumental improvisations are obscured by heavy atmosphere enhanced with unsettling and strange titles, like "Ten, który kroi jeziora" ("The one who carves the lakes") or "Śmierć pierworodnego" ("Death of the first-born"). There’s an occasional beat added to the all-enveloping drones, as if to give some blurry sense of direction, like the glitchy Fennesz-like beat in "Złamany, lecz niezłomny" or the nearly ambient tehchno beat in the closing "Sadachbia", which cuts the metallic drone into small pieces. Despite being a one-time musical project (unfortunately), Jedwabnik is a hugely rewarding and mysterious listen, difficult and adventurous. It jumps into some dark moods before showing the light to the listener. It’s also the proof that the Polish musical underground is bulging with ideas and sometimes what is needed is just a spark to ignite the action at the forefront of experimental music. Some albums are worth the wait, even if that wait is a full decade. 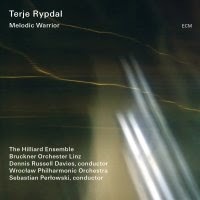 The lion's share of guitarist Terje Rypdal's "Melodic Warrior" is devoted to the nine-movement title suite, a 2003 recording with the Bruckner Orchester Linz and, most importantly, the Hilliard Ensemble, the vocal ensemble that leapt to greater fame with "Officium" (ECM, 1993), the first of three recordings with Rypdal's fellow countryman, Norwegian saxophonist Jan Garbarek. The four-movement "And the Sky was Coloured with Waterfalls and Angels," from a 2009 performance with the Wroclaw Philharmonic Orchestra at Poland's renowned Jazztopad Festival, rounds out the record, a series of tone poem studies in contrast. In a career documented exclusively on ECM since "Terje Rypdal" (1971), the guitarist has divided his time between improv-heavy (but still structure-based) concerns like 1975's "Odyssey" - reissued, finally in its entirety, in the 2012 "Odyssey: In Studio & In Concert" box - and an interest in classical composition that began with Rypdal's introduction to the music of György Ligeti, through the soundtrack to Stanley Kubrick's "2001: A Space Odyssey" (1968). Best-known, perhaps, for "jazz" recordings more predicated on an instantly recognizable tone and approach to electric guitar, Rypdal's reputation as a classical composer remains of no small significance - and despite working as a composer alone on recordings like 1990's "Undisonus", Rypdal has also found ways to integrate his soaring six strings into the mix. Those expecting a guitar-based version of the Hilliards' more intimate Garbarek collaborations will be surprised, but they should not be disappointed. Rypdal has delivered a 45-minute suite that employs the Hilliards to traverse considerable territory, from the brooding introductory "Awakening," which moves from near-silent stasis and slowly intensifying symphonics to the vocal ensemble's first appearance, enticing the audience to "listen to this song of life," even as its soaring consonant harmonies dissolve into a swirling dissonant descent that leads to "Easy Now," where Rypdal's overdriven guitar sings above a horn ensemble that gradually unfolds into a fuller orchestral backdrop. While the suite's title suggests - and delivers upon - Rypdal's intrinsically bold lyricism, it also capitalizes on left-of-center concerns, as "The Secret File" juxtaposes haunting beauty with Ligetian extremes. Rypdal is the lead thematic instrument over propulsive strings on the aptly titled "My Music Reaches to the Sky" but only before dispersing into more unfettered territory. The suite ends beautifully (and anti-climactically), the Hilliards' final statement leading to a soft but sweeping symphonic conclusion, as Rypdal's gradually ascending notes fade to silence. "And the Sky was Coloured with Waterfalls and Angels" is similarly modern, mixing close-voiced horns and shuffling percussion with swirling strings, thundering tympanis and searing guitar, in addition to contrasting brooding stases with angular themes and low register brass and woodwinds. As fundamental as the Hilliard Ensemble is to the "Melodic Warrior" suite, and as clear as Rypdal's compositional roots are, it's ultimately his own guitar work that gives the recording its specificity. Combined with more recent works like The Sound of Dreams - premiered at the 2013 Molde International Jazz Festival - "Melodic Warrior" demonstrates that what was once a clear dividing line between Rypdal's two concerns has become something much fuzzier...and is all the better for it. This is the third album as a leader by Polish Jazz vibraphonist / composer Dominik Bukowski recorded in a quartet format with two Finnish musicians: saxophonist Joonatan Rautio and drummer Ville Pynssi and his faithful companion since many years bass virtuoso Piotr Lemanczyk. The album presents seven original compositions, three each by Bukowski and Rautio and one by Lemanczyk. Although well within the Jazz mainstream, this album simply fulfills all the basic requirements expected from a superb Jazz production: beautiful melodies, excellent improvisations, superb teamwork and a crystal clear sound quality. Bukowski, as evident from his numerous other recordings, is the top vibraphone player on the Polish scene and his eloquence is simply astounding, as are his composing skills. Lemanczyk, one of my favorite Polish Jazz bassists, is also perfect all the way through. His sense of melody and understanding of the role of bass in a Jazz ensemble is second to none. The two Finns, although still relatively young, display here first class musicianship and in the case of Rautio also great compositional talent. Overall this is a first-class mainstream album, which makes no compromises whatsoever, keeping the music swinging and melodic and yet full of elegance and flair. This music has, perhaps unintentionally, a certain "retro" flavor, taking an experienced listener back to the 1950s and the Cool era, when the music was all about good taste and beautiful ladies. Of course any Jazz connoisseur should simply love this stuff to bits, as this music is so likeable that it makes you press the "repeat" button of your player instantly. Thank you guys for this little gem! This album is now four years old and one can only hope that we won't have to wait much longer for another Bukowski recording, what do you say Dominik? 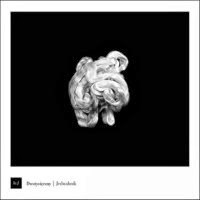 This is the second album by Polish improvising collective Dzwiek-Bud, founded by guitarist Suavas Lewy, which also includes viola player Malgorzata Bogusz, violinist Michal Rupniewski and saxophonist Pawel Sokolowski, but they play many other instruments as well. The concept of the ensemble is to create music inside a specific environment, which reflects that specific environment and its ambience. 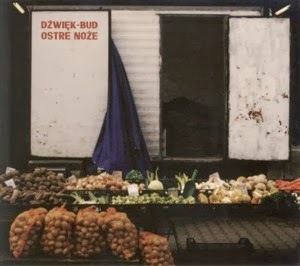 This album presents nine (well there is also a hidden tenth) improvised pieces reflecting the atmosphere of marketplaces around the Polish town of Lodz, Suavas' home town. The music is not specifically credited to anybody so one can assume it is by proxy credited to the ensemble members. 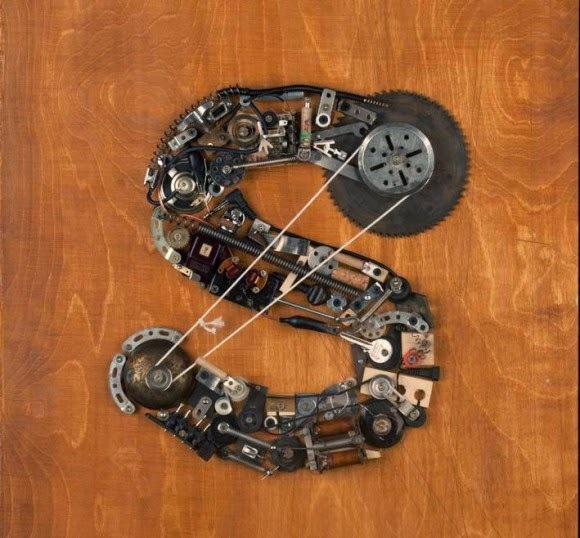 The improvised pieces are accompanied by a collage of field recordings, made by Suavas at the markets, which are the authentic voices of people and other related ambient environmental sounds. Of course the question often arises if this music (if it is music at all) has a raison d'être, since it is not very communicative, certainly isn't entertaining and most people hate it? Well, one should not ask moronic questions like these, unless one intends to question the raison d'être of Art or even Culture itself. If someone creates this music as a means of his expression, this a priori validates its right to exist. Perhaps best appropriate as a soundtrack of a documentary movie, this music standing alone offers the advantage to be able to become a soundtrack to whatever imaginary movie the listener wishes to create inside his head. It takes a lot of courage to make music like that. The fact that such music is being created, recorded and released in Poland is truly amazing. Often considered backward and primitive by its western neighbors and across the pond big brothers, 21st Century Polish Jazz in its full splendor and diversity actually is able to teach everybody a lesson or two. This is the third album by Polish Ethno-Jazz ensemble Hera, led by saxophonist / composer Waclaw Zimpel. The album contains a live concert recording by the ensemble, with featured as special guest the American drummer Hamid Drake. The participating ensemble members are: saxophonist Pawel Postaremczak, hurdy-gurdy player Maciek Cierlinski, guitarist Raphael Roginski, bassist Ksawery Wojcinski and drummer Pawel Szpura. The music consists of five pieces, four of which are over fifteen minutes in duration, all of which are based on World Music ethnic riffs and melodies, partly composed or arranged by Zimpel and in one case including a melody contributed by Drake. Except for Drake's chanting his own melody, the rest of the music is instrumental and mostly improvised. It is much easier to say what this music isn't than to say what it actually is, but that is hardly relevant as music is basically created in order to be listened to and not to be written about. Nevertheless one can try one's best. So this is definitely not Jazz as most people conceive it, not even Jazz-World Fusion, as it goes well beyond the usual boundaries of that sub genre. Yes it is mostly improvised, but so is much of Ethnic music, which after all begot Jazz in the first place. The closest definition that I can come up with is Spiritual Music, a kind of collective trance induced by repeated rhythmic patterns and a feeling of sharing and togetherness, which inspires the musicians involved. However, the problem with such music is that is works absolutely divinely live, but translates less efficiently into albums. Of course in this case the actual music is strong enough to carry on a potent impression, but probably much is also lost in the process. This music is also definitely not for everybody. Conventional Jazz listeners will find it not Jazzy enough; others might find the strong Ethnic influences outlandish and unfamiliar. Only listeners with a highly developed open-mindedness and readiness to accept what is different will discover the true delight of this music. The individual performances are of course blissful as always in Hera's case. Zimpel and Postaremczak weave some beautiful snaky improvisations; Roginski rocks things up with a great guitar solo and the expanded rhythm section transports the music into a different universe. Overall it is quite a musical experience, which should not be missed. 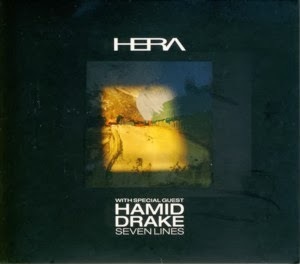 People familiar with the two earlier albums by Hera are of course already hooked for good. I always wonder where Zimpel will take the ensemble next. I guess we'll all have to wait until the next album appears before us. Until then, may the spirits of music be with you all. 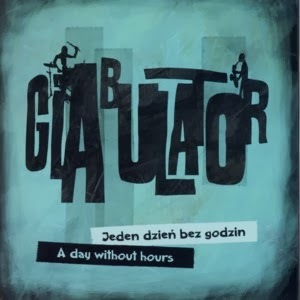 This is the debut album by the experimental Polish Jazz duo Glabulator, founded in 2005 by saxophonist Tomasz Glazik (4Syfon, Sing Sing Penelope) and drummer Jacek Buhl (4Syfon and many others), two of the most respected activists on the avant-garde scene in the town of Bydgoszcz and its legendary club "Mozg". Following a long period of inactivity since 2007 the duo combined forces again in 2012 and recorded this album in the studio located in the same club, which includes ten original compositions / improvisations credited to the duo. The music is quite diverse, ranging from completely improvised pieces to almost danceable melodic exercises, which are nostalgic reminiscences of the Yass period. Glazik plays tenor saxophone, bass clarinet and synthesizers and creates a wide range of sounds and effects, creating often the effect of a whole ensemble. Buhl, who is one of my favorite drummers on the Polish scene, presents again his incredible musicality and virtuosic control of his array of percussive instruments. Together they create an ambience of adventure, which keeps the listens in full suspense throughout the entire album. This music beautifully combines the concept of freedom with the elements of melody and rhythm, which are the basic building blocks of music, and therefore is able to be attractive to a relatively wide range of open-minded listeners, which is usually quite difficult to achieve in the Free / Improvised Music environment. This is yet another document of the incredible vitality and versatility of the Polish Jazz scene, which seemingly knows no borders and simply explodes with both established and new talent. Listeners who have been following the careers of the duo members will find this album as another interesting step in their development. For others this is a wonderful opportunity to discover the magical world of Glabulator and take an enchanted voyage with them. This is the debut album by young Polish Jazz vocalist Joanna Kucharczyk, accompanied by a piano trio with Czech pianist / composer Vit Kristan, bassist Max Mucha and drummer Karol Domanski. 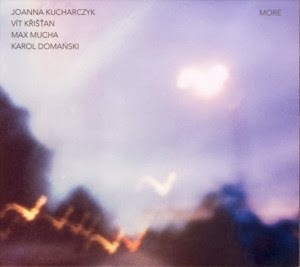 The album presents nine original songs, four of which were composed by Kristan, three by Kucharczyk, one co-composed by them both and the remaining one by Domanski. Kucharczyk wrote (or in two cases co-wrote) the lyrics to all the songs, which are all in English (see the Side Note below). The songs are pretty straightforward mainstream efforts, where the ones composed by Kristan are significantly better and more eloquent that the others. Most of the material is soaked in the typical Slavic melancholy, which although deeply touching and beautifully atmospheric, tends to get somewhat repetitive and almost boring after a while. The trio performs the music with elegance and sensibility, again Kristan clearly arising as the most experienced and obviously talented player, deeply romantic and bringing to mind recollections of the young fellow Czech virtuoso Emil Viklicky when he was at the same age. The rhythm section does its job very well, with the firm bass pulsations and dynamic drumming perfectly suiting the music and pushing it forward, especially during the less exciting moments.